A good prediction of landslide displacement is an essential component for implementing an early warning system. In the Three Gorges Reservoir Area (TGRA), many landslides deform distinctly and in steps from April to September each year under the influence of seasonal rainfall and periodic fluctuation in reservoir water level. The sliding becomes more uniform again from October to April. This landslide deformation pattern leads to accumulated displacement versus time showing a step-wise curve. Most of the existing predictive models express static relationships only. However, the evolution of a landslide is a complex nonlinear dynamic process. This paper proposes a dynamic model to predict landslide displacement, based on time series analysis and long short-term memory (LSTM) neural network. The accumulated displacement was decomposed into a trend term and a periodic term in the time series analysis. A cubic polynomial function was selected to predict the trend displacement. By analyzing the relationships between landslide deformation, rainfall, and reservoir water level, a LSTM model was used to predict the periodic displacement. 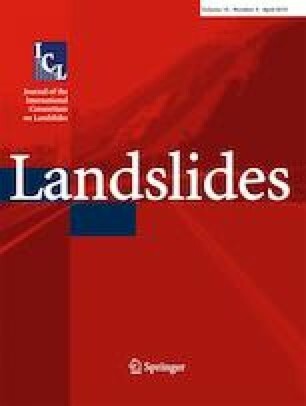 The LSTM approach was found to properly model the dynamic characteristics of landslides than static models, and make full use of the historical information. The performance of the model was validated with the observations of two step-wise landslides in the TGRA, the Baishuihe landslide and Bazimen landslide. The application of the model to those two landslides demonstrates that the LSTM model provides a good representation of the measured displacements and gives a more reliable prediction of landslide displacement than the static support vector machine (SVM) model. It is concluded that the proposed model can be used to effectively predict the displacement of step-wise landslides in the TGRA. The authors wish to thank Dr. Du Juan, Dr. Huang Faming, Dr. Miao Fasheng, and Dr. Zhou Chao for their assistance in collecting the data. This research was supported by the National Natural Sciences Foundation of China (no. 41572292) and the Research Council of Norway (Klima 2050). The first author wishes to thank the China Scholarship Council (CSC) and the Norwegian Geotechnical Institute (NGI) for funding her research period at NGI.